Two updated titles were added to the Student Core Collection in July 2018. 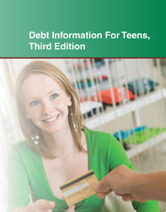 Debt Information for Teens, 3rd Edition, offers updated information about economic fundamentals that impact personal finances and ways to manage money. It explains how to develop a personal budget, save for future goals, and make purchasing decisions. It also discusses establishing and using credit, the basics of borrowing, the purposes of credit reports and credit scores, and some of the most frequently encountered types of loans, including installment, vehicle, and education loans. 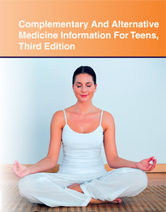 Complementary And Alternative Medicine Information For Teens, Third Edition provides updated information about complementary and alternative medicine (CAM) systems, therapies, and practices, including various whole medical systems, manipulative practices, and movement therapies. Mind- body medicine, biologically based practices, energy medicine, and creative arts therapies are also discussed.